“I’ve had a pretty chaotic few weeks and come weekend I like to chill out and tinker with little projects on my backlog. Months ago I bought some Amazon Dash buttons with every intention of using them but never actually getting around to it. It’s time to change that and what better than integrate one of them with Let’s Encrypt! I’ve always loved tinkering around with technology and I love little weekend projects to take my mind off work. I recently setup a Raspberry Pi to act as a DNS filter on my network using PiHole which was a great short project and something to have fun with that was also useful. I wanted to follow a trend here and finally put the Amazon Dash buttons I bought to good use. My goal was to create a Let’s Encrypt Dash Button so that any time I felt sad about there not being enough encryption in the world I could hit the button and have a Let’s Encrypt certificate issued! 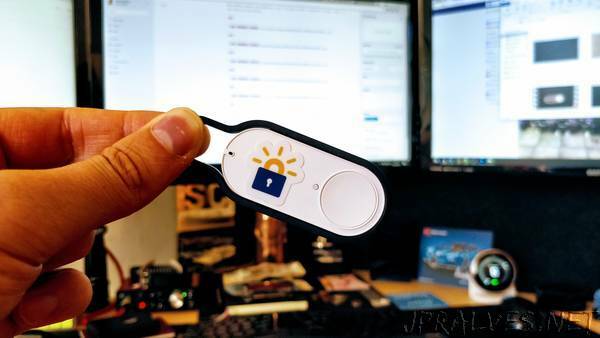 Hacking the Dash Button to do custom things shouldn’t be too hard and Let’s Encrypt provide certs for free so this should be a quick and easy project. Let’s dig in.